It's often hard to find the perfect gift for everyone on your list. This is especially true when you're trying to stay within in particularly small budget but still want to blow them away with your thoughtfulness. Last year, I was confronted with needing about a dozen gifts for a group of ladies, each wonderful and unique in their own way. Yet, these gifts needed to be fairly identical. 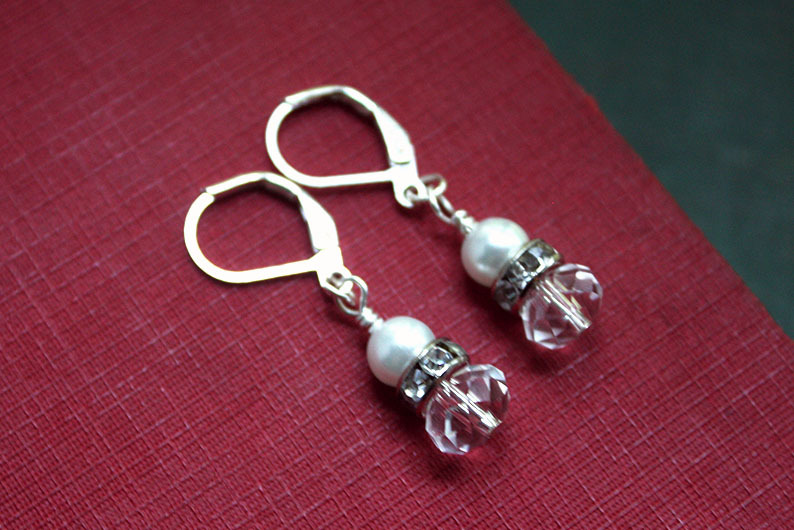 After some thought, I settled on a dainty pair of earrings that could be worn with just about anything. From what I could tell, all of the women were pleased with the earrings. In fact, several of them have pointed out to me that they were wearing them! 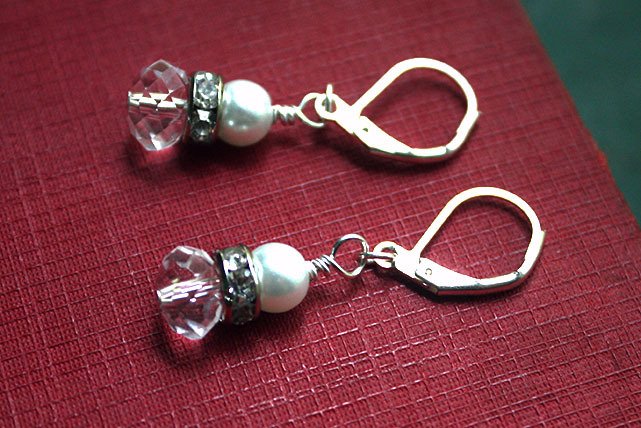 The key to these earrings is the neutral (but sparkly) palette of faux white pearls, rhinestones, clear crystals, and silver. If you've got some hard-to-shop-for ladies on your list this year, you might want to whip up a few pairs of these crowd pleasers. Let me show you how! 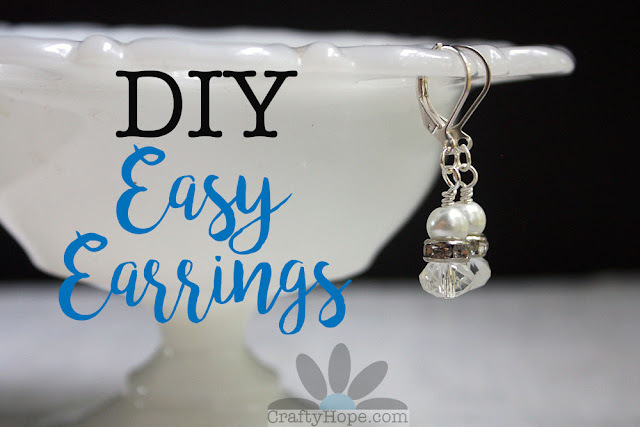 You can watch my DIY Easy Earrings video and/or follow the directions below. The supplies needed to make a single pair of these beauties are pretty basic. You'll need two of each to make a complete set. You'll also need a few pliers. 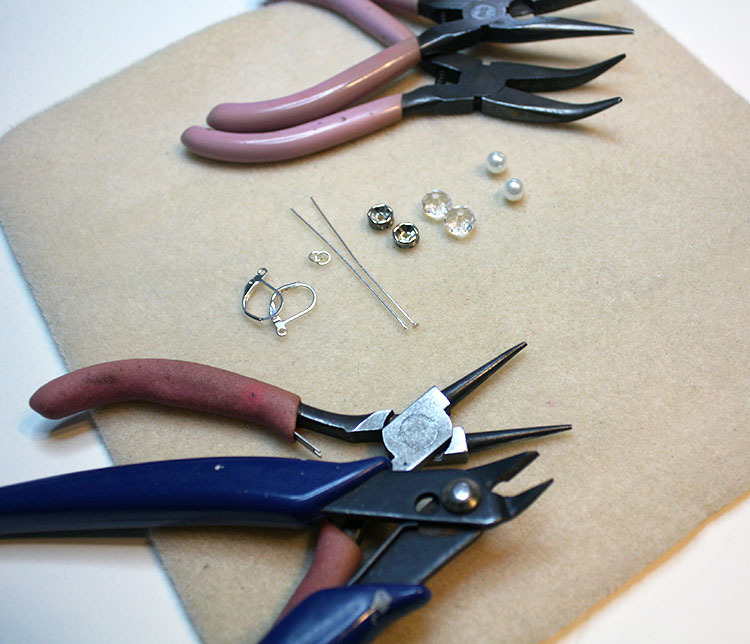 I used round-nose pliers, flush wire cutters, chain-nose pliers, and bent-nose pliers. 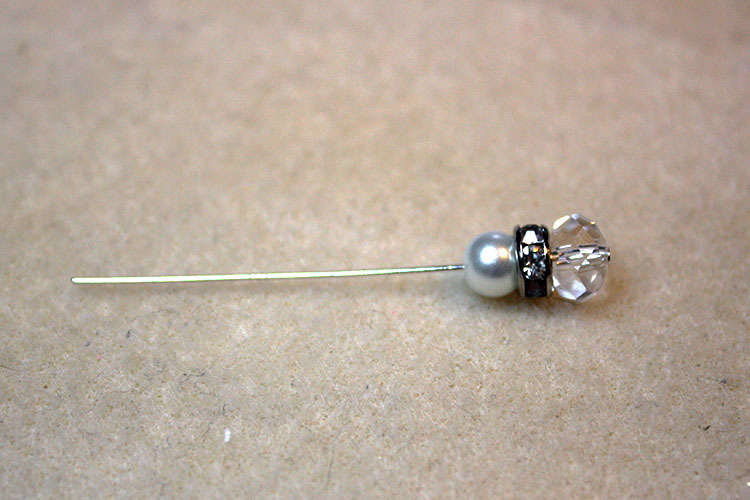 To begin, string your beads on a head pin in the following manner: crystal, spacer, pearl. This pattern was chosen because the crystals were larger than the other two beads, and it felt most natural for the largest to be at the bottom. Once your beads are on the head pin, create a wrapped loop by holding the pin with your round-nose pliers just above the top bead. 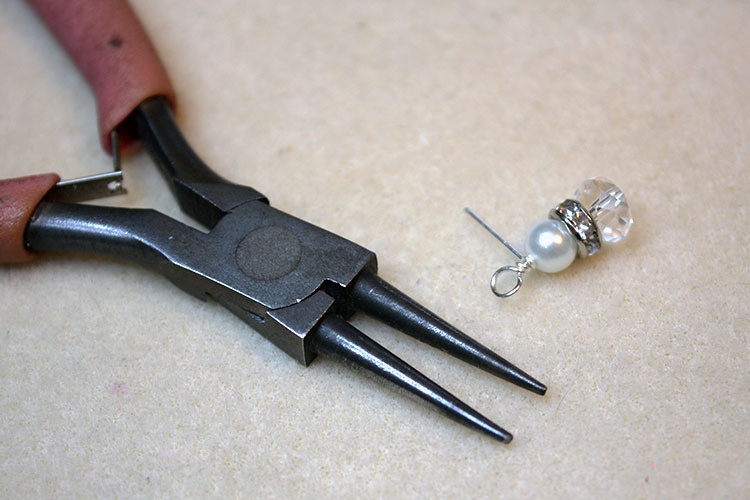 You'll likely want to re-position your round-nose pliers to then create a loop. 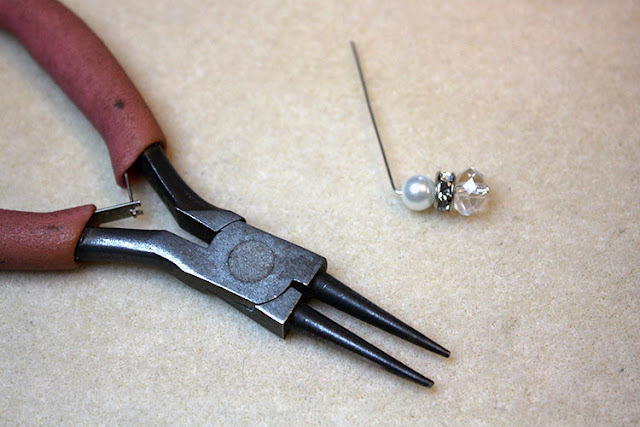 From there, continue to hold the loop with your pliers while wrapping the tail of the wire around the "stem" coming from the bead. 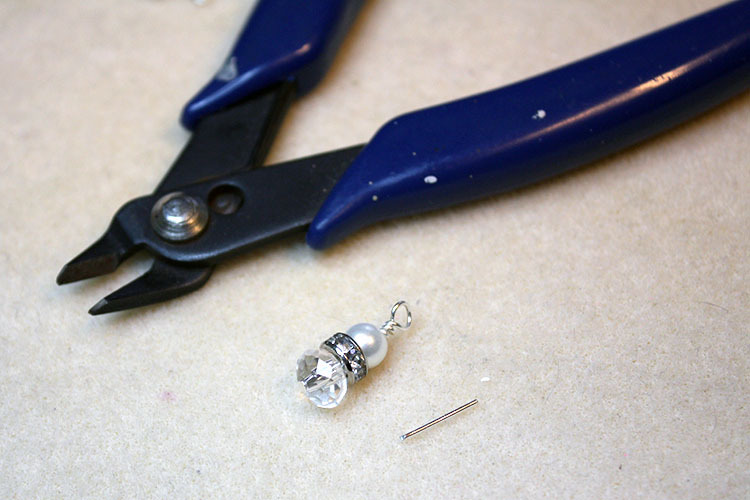 Wrap until the wire touches the top bead. Use your flush wire cutters to trim away any excess wire from the wrapped loop. 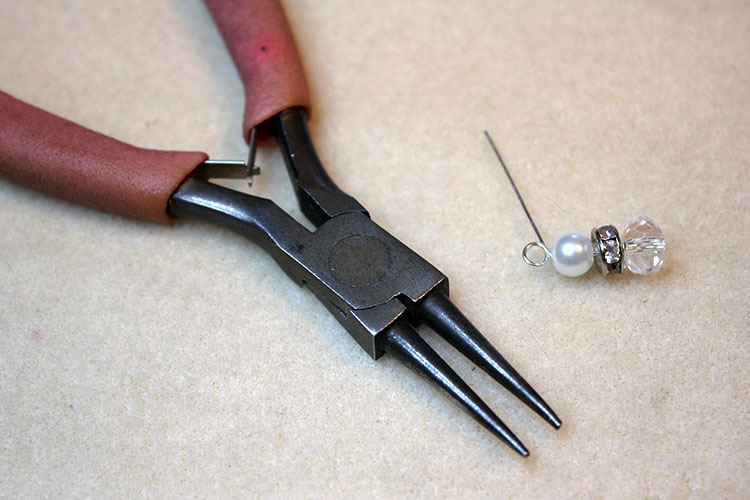 Then, use your chain-nose pliers to secure the end of the wire by pressing it around the stem. 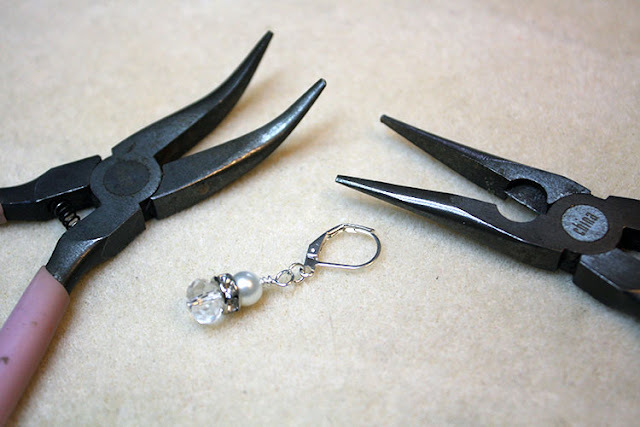 Place your chain-nose pliers in one hand and your bent-nose pliers in the other, and open the jump ring by twisting it. 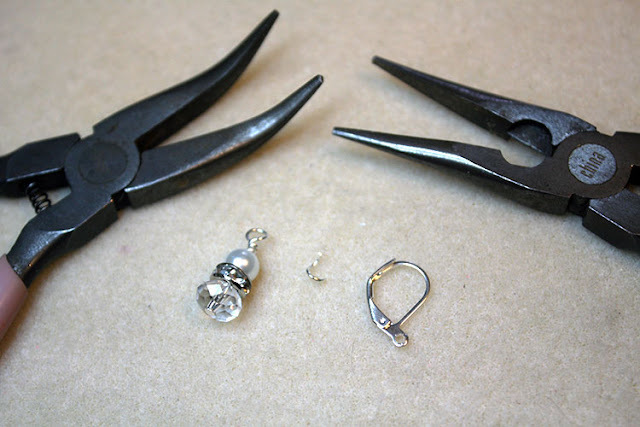 Use the jump ring to connect the ear wire to the charm you just made. Close the jump ring using the same two pliers and twisting it closed. You'll repeat the same process to make the second earring and complete the pair. 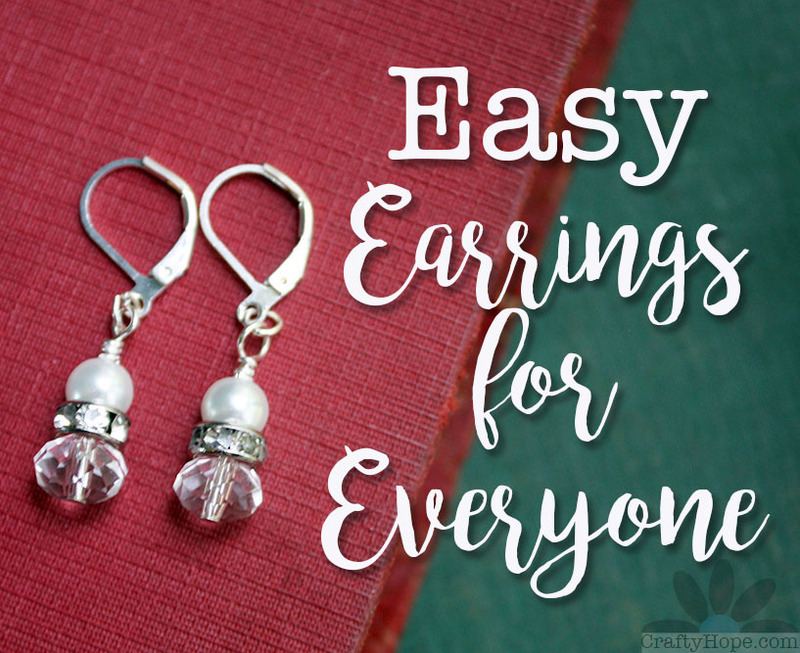 Now that you know how easy this is, you'll be making pretty little earrings for yourself and everyone you know! 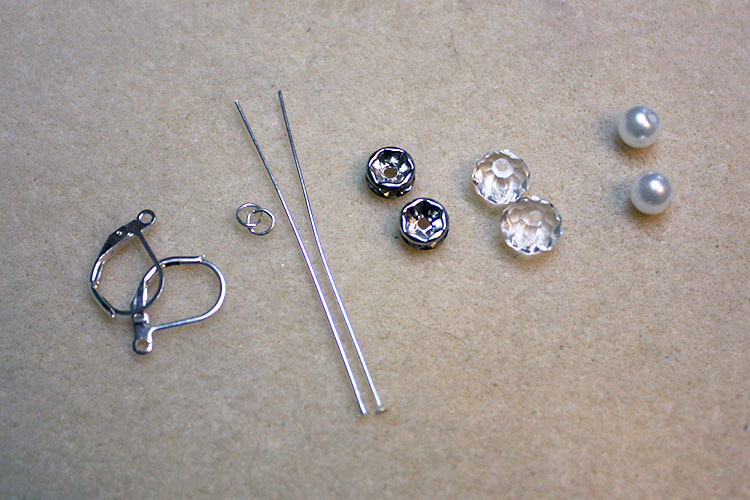 Keep in mind that you can alternatively make clip-on earrings for those without pierced ears by substituting a clip-on mechanism for the ear wires. As well, if you aren't comfortable making a wrapped loop, you can just as easily complete these earrings with a simple loop. And, of course, you can mix up the palette to suit the tastes of those you're gifting. But, if you're grasping at straws and want to make it easy on yourself, this neutral palette is sure to please. Don't hesitate to let me know if you have any questions at all. I'm happy to help. And, enjoy the season of giving! Sometimes we shun from simple projects like this one but we shouldn't - this pair of earrings is great for a subdued look or to complement a statement necklace or sequin dress, etc. Good for casual look, too!